I met Minerva Aguilera by happenstance and was so inspired by her story I felt it was a great addition to my “People Stories” page. Working seven days a week can be a might tiring to the soul, or at least one might think. But, to Minerva Aguilera it was simply an act of love. Born into a family with illiterate parents, the fourth child of five, Minerva’s parents put high value on education for their children. Minerva finished school and her bachelor’s degree while simultaneously having one child and working full time. Wanting to better herself, she went back to school for her first master’s in Business Administration. While working on the MBA, she continued to work full time and had child number two! Teaching economics and 12 other business courses was her much loved career, which led her to the thought of becoming a principal. But, first, a major development changed her life. Finding herself divorced and raising three children on her own, Minerva was determined to give them the best, which, of course, meant she would have to continue to better herself. “It was out of necessity. I was a single parent,” she said, pushing aside any hints of heroism in her actions. Wanting something to keep her occupied and thinking again of being a principal, she went back to school, walking away with her Master’s in School Administration. Funny thing about life–it always surprises us when we least expect it. “I found I enjoyed teaching so much I didn’t want to give up my students. Even now, I love my students,” her voice was quiet as she told her story. She tucked the MSA away, stayed a teacher and went on with life. 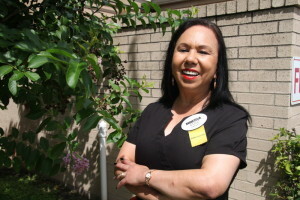 When dual enrollment programs began in her Edinburg, Texas, Independent School District (EISD), Minerva was asked if she had a master’s degree in economics. You would think anyone with three Master’s would be satisfied after all that hard work, ready to ride the stream her career was taking her. Not Minerva. While work was going well, in her private life things were not so grand. During this time she prayed–a lot. Having the surgery in 2001, her daughter’s weight today is on a slow incline as is her son’s. Minerva isn’t about to let that slide past her without doing the best she can to help these children she loves so much. But her drive to help could also be from that determination which is so strong in her soul. “When I get started on something, I want to finish it!” she declared. Fulfilling her promise by getting her Master’s in Nursing, Minerva made the decision to go after a life-long dream of acquiring a Ph.D. Now in her third year, her thesis will be on Post-bariatric Surgery with her hypothesis that support from family and friends is the key to maintaining weight loss. This, is turn, gives the surgery time to prove the health benefits which come from the surgery, as mentioned above. 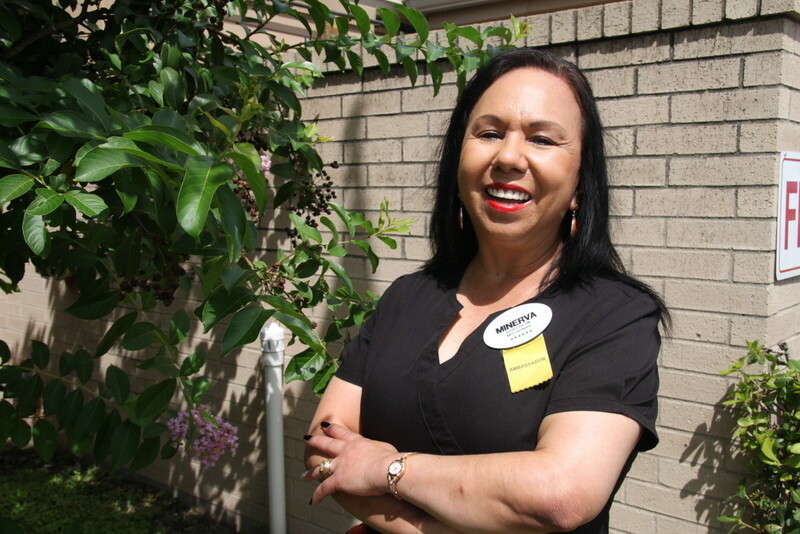 Minerva works her full time nursing position at a local nursing home while carrying a full load of teaching economics at STC. Seeming to be worlds apart, Minerva disagrees. In her spare time, she follows in her mother’s footsteps, taking out her machine and sewing. Upon finishing her Ph.D. she plans on traveling to the Philippines and perhaps, Hawaii. With her youngest daughter graduating in May of 2015, Minerva is looking forward to getting out from those financial burdens. But you won’t find her complaining or bemoaning any of her life. Losing her parents, a sister and going through the illnesses of her children has made a deep impression on Minerva, giving her compassion and empathy for those around her. Those times she’s ready to cry uncle, it seems God gives her a little nudge. Take, for example, the time she was at the gym, so tired she didn’t think she could continue. Looking across the gym, her eyes landed on her inspiration. A motivation to her students and family, Minerva just keeps on keeping on–because that’s the kind of mom, that’s the kind of teacher, that’s the kind of woman she is–a real winner!